SPENDING TOO MUCH TIME IN THE DENTAL CHAIR? DO YOU WISH THERE WAS A FASTER, BETTER WAY? WITH ONLY ONE VISIT?? 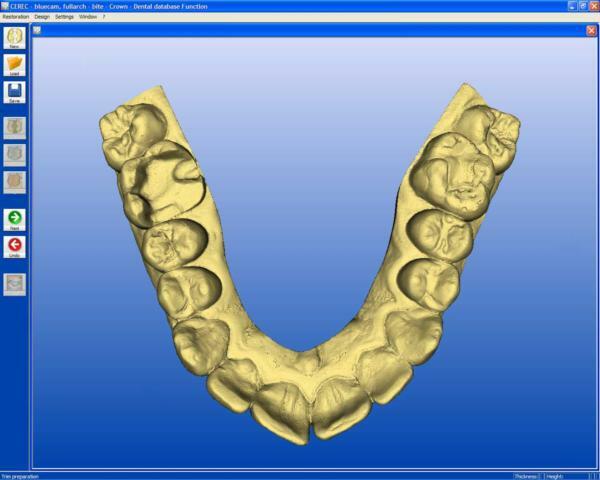 One of the most popular services provided at our Boca Raton office is our CEREC One Day Crowns. Chairside Economical Restoration of Esthetic Ceramics (CEREC) allows us to restore damaged or decayed teeth in one streamlined office visit. With extensive training and experience, Dr. Gregg Weinstein is widely considered the premier CEREC Dentist in Boca Raton. NO TEMPORARY CROWNS TO FALL OFF OR BE CAREFUL OF! CONSERVATIVE RESTORATIONS RETAIN MORE HEALTHY TOOTH STRUCTURE! SMILE MAKEOVERS IN ONE DAY! Most dental restorative methods require more than one visit to the dentist.This means that on the first visit, you get an injection of anesthesia,your tooth prepared, an impression taken, and a temporary restoration put on your tooth.You make a second appointment for a couple of weeks later, get another injection, have the temporary pried off and have a permanent restoration bonded to the tooth. With CEREC, Dr. Weinstein performs the entire procedure in just a single appointment from start to finish. No impressions, no temps -- just beautiful, tooth colored restorations in one visit! Many years ago, dentists had few options to repair decayed and damaged teeth other than amalgam, gold, and other metals. With CEREC, Dr. Weinstein can use strong, tooth colored ceramic to restore your teeth to their natural strength, beauty and function. These materials closely match the composition of natural tooth structure.This means when you eat hot food and then drink something cold, the restoration and tooth expand and contract at almost equal rates, reducing the likelihood of fractures. The restoration is also chemically bonded to your tooth, resulting in a stronger and more health tooth. Imagine a same-day smile makeover! Dr. Weinstein uses CEREC to restore chipped or discolored front teeth with beautiful porcelain crowns and veneers. You can literally walk out the door with a new, bright, healthy smile in just one visit!